The Internet of Things (IoT) promises to revolutionize entire industries through greater efficiency, enhanced customer service and improved decision-making. Forward-thinking organizations are also developing new products, services and business models that leverage internet-connected devices that gather data and operate autonomously. Imagine retail store shelves that send an alert to the warehouse when they need to be replenished. Smart buildings that automatically control lighting and temperature based upon room occupancy and ambient conditions. Fleet vehicles that calculate the best route, and machinery that schedules its own maintenance. But for all its promise, the IoT has introduced some confounding problems. Organizations are finding that a centralized IT environment creates unacceptable latency when it comes to analyzing IoT data. As a result, more and more computing resources are being pushed to the network edge, closer to users and IoT devices. This creates a far-flung network infrastructure that’s extremely difficult for IT teams to manage. The latest out-of-band management solutions address this challenge. Originally designed to give IT personnel access to devices when the primary (in-band) network is unavailable, out-of-band management has evolved to support advanced infrastructure management and automation tools. Out-of-band management also gives IT personnel access to equipment that has not yet been configured, enabling zero-touch provisioning of IoT devices and edge systems. Nodegrid Bold SR from ZPE Systems is an example of a compact form-factor appliance that provides resilient out-of-band management for the edge and IoT. Secure access and control of IT and IoT devices through this kind of appliance enables a virtual IT presence at the edge of the network, so IT support staff can manage devices remotely, simplifying administration and troubleshooting while reducing staffing and travel costs. The software-defined networking (SDN) capabilities of out-of-band management appliances provide a centralized view of infrastructure assets, and allow for automation and policy-based orchestration of network services and applications. Out-of-band solutions have also evolved to protect networks with enterprise-grade security protocols and encrypted data transit. Nodegrid Bold SR leverages network functions virtualization (NFV) to provide routing, firewall, system monitoring and VPN capabilities. NFV is an important capability for out-of-band management because it saves physical space and cuts hardware costs through the virtualization of physical network appliances. It also speeds deployment because there’s less hardware to install, and provides operational cost savings through reduced power consumption and cooling. Remote device management appliances also need redundant connectivity methods with automatic failover to reduce downtime. Appliances should support a variety of connection methods, including serial, network and USB, and ideally provide in-band and out-of-band remote access and power controls. Quality out-of-band management appliances also offer device health monitoring, alert notifications and actionable data capabilities. The IoT is compelling organizations to implement micro-environments at the network edge to provide compute and storage resources for a wide range of devices. IT teams need a new set of tools that enable remote monitoring and management of these edge environments. Remote management appliances like Nodegrid Bold SR address this need by extending out-of-band management capabilities to the IoT, and providing reliable, secure and efficient connectivity for edge networks. 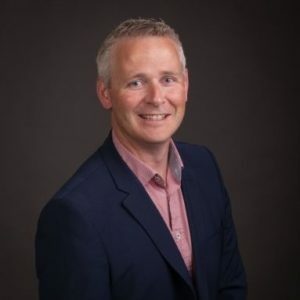 Marcus Doran is an experienced data center infrastructure sales professional with 20 years’ experience in sales growth, revenue generation and new business development. He joined Rahi Systems in April 2016. Through his two-decade career, Marcus has worked all over Ireland, the Middle East and the UK as a Sales Manager, a Channel Manager and a Major Account Manager.